A top Pentagon official Randall G. Schriver, the assistant defence secretary for the Department of Defence's (DoD) Asian and Pacific Security Affairs on Friday, has expressed that Washington admits and respects the sacrifices made by Pakistan in the 'Global War On Terror' (GWOT), being an ally of the Muslim majority state. 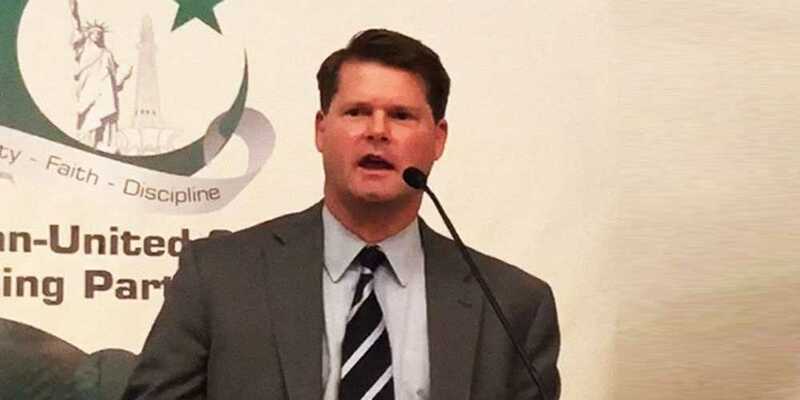 Speaking at an event organised to commemorate the Defense and Martyrs Day 2018 at the Pakistani Embassy in Washington, Randall G. Schriver said the United States has high hopes for a respectful and better bilateral relationship with Pakistan. Schriver said that the military linkages between the two countries have always remained a strong foundation for the two-way relations. The Pentagon official reiterated US military chief, General Dunford’s remarks that the inter-military relationship is one that has remained in a place where some of the other relationships haven’t. Schriver noted that the United States was making active efforts to cement its ties with the Pakistan Army, confirming that the talks held between Pompeo, Dunford, and Islamabad’s top brass were in a favourable environment. The top military officials have good personal relations, he claimed. The remarks came a day after US State Secretary Mike Pompeo and US Joint Chiefs of Staff Chairman General Joseph Dunford visited Pakistan on a one-day tour, calling on Pakistan’s Prime Minister Imran Khan, Foreign Minister Shah Mehmood Qureshi, Chief of the Army Staff General Qamar Javed Bajwa and Director General of Inter-Services Intelligence, General Naveed Mukhtar.